Expand your kitchen to the outside! 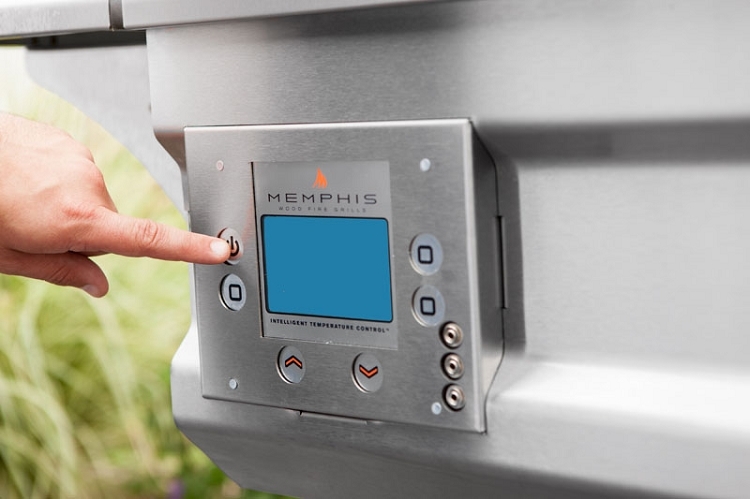 Unlike ordinary grills, the Memphis Advantage Grill has true convection capabilities, as well as grilling and smoking features. Bake a pie, sear a steak, cook a wood-fired pizza, or smoke ribs. As an additional cooking source, Memphis Grills make holidays and other gatherings easier and more enjoyable! 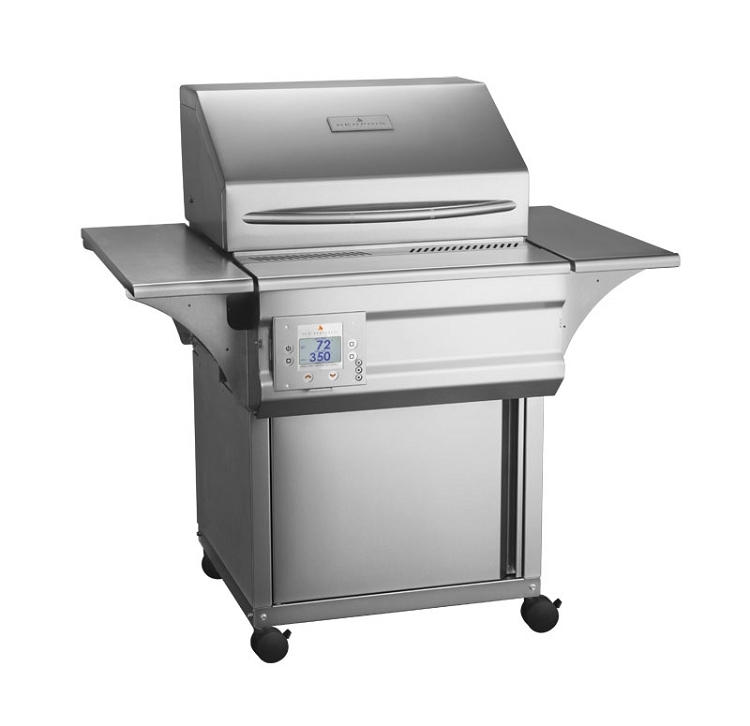 No other pellet, gas, charcoal, or propane grill on the market today can accurately claim to have the full convection capabilities that Memphis offers. grill temperature continuously and adds pellets as needed. The digital food probe measures internal food temperature using the ITC. Once the food reaches the desired temperature, the ITC automatically reduces the grill temperature to warm (the lowest set point). The convenience and precision of the ITC allows for year-round cooking. Enjoy the delicious wood-fired flavors that restaurants provide, in the comfort of your own backyard! The ITC automatically regulates the fuel of 100% natural wood pellets to produce savory flavors. From a mild smoked taste to hints of cherry, hickory, or maple, a variety of wood flavors are available that will suit any preference. 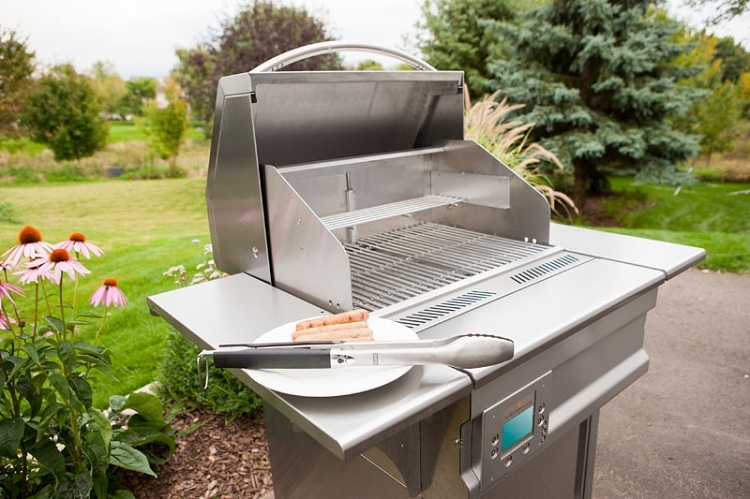 You'll be amazed at the taste difference compared to traditional gas or charcoal grills. Bake bread, pizza, cookies, or even a pie with our consistent oven temperatures and even heat circulation. Or roast any type or cut of meat to absolute perfection! Sear meats first to seal in precious juices and enhance their flavor. 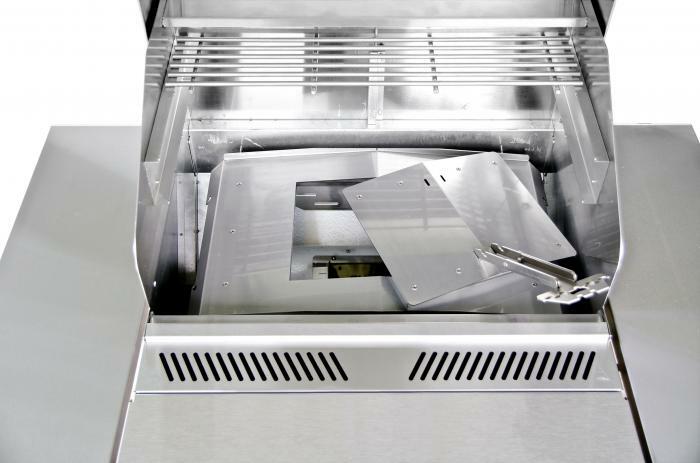 You can sear up to 600 degrees with the Memphis Advantage. For maximum flavor and tenderness, the ITC automatically adjusts to “smoke mode” when the grill temperature is 295 degrees or below. Create succulent ribs, briskets, and roasts using the smoke mode. Smoke up to 62 hours unattended without refueling. Prepare flavorful and juicy foods without constantly tending the grill. And because all Memphis Wood Fire Grills are true convection ovens, no rotisserie is needed. 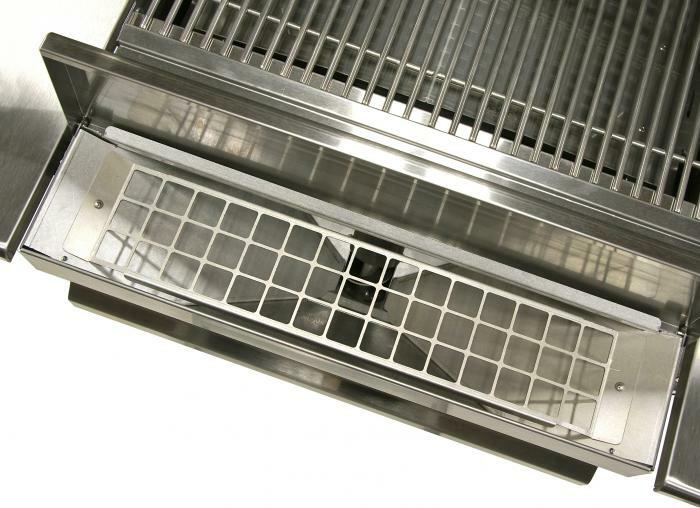 Grill chamber design, advanced engineering, and convection fans circulate heat evenly and provide the consistent temperatures required for convection oven performance. 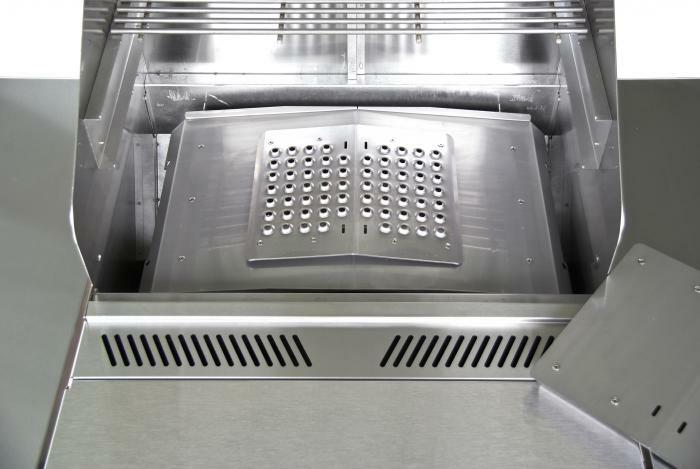 Other brands may claim to have convection oven capabilities, but Memphis Grills can accurately backup that claim with engineering facts. Cooking with 100% natural wood pellets is safer and more environmentally conscientious than using more traditional products. Unlike such fossil fuels as natural gas and propane that contribute to climate change, our pellets are always made from renewable resources. Superior craftsmanship and strict adherence to manufacturing standards guarantee products with unbeatable reliability and durability in any climate or weather condition. 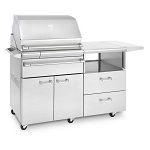 All Memphis Wood Fire Grills are designed, engineered and manufactured in an ISO 9001:2008 facility in the USA. All models have a 5-year limited warranty. For a limited time when you purchase this pellet grill we will throw in a 100 lbs of BBQ Island brand hardwood pellets for free. BBQ Island hardwood pellets are made from pure natural hardwood fiber. We use no fillers, oils or binders in our pellets. In addition, unlike our competitors 30%/70% blends, we use a higher grade 40%/60% blend to provide you with a more robust smoke flavor.